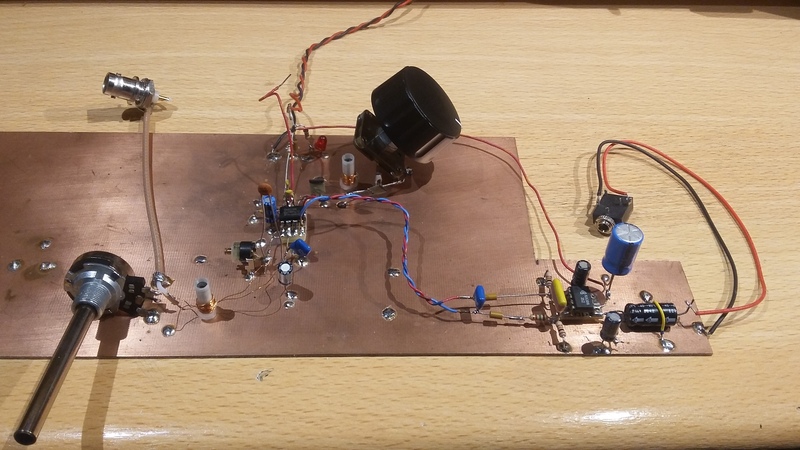 The Neophyte receiver is an easy-to-build receiver, already built by lots of people. Many radio clubs used it as a project for starting builders. It was developed by John WA3RNC and first published in QST, February 1988. The circuit can be used to create either a 80m or a 40m receiver, depending on a few capacitors. The 60m band is just in between, therefore I decided to find out the correct caps for this new amateur radio band.